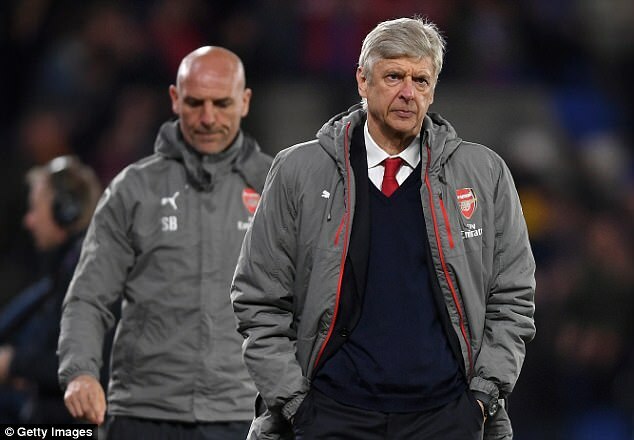 Arsenal fans hurled abuse at Arsene Wenger and a number of their first-team stars as they surrounded the team bus following an embarrassing and damaging defeat 3-0 to Crystal Palace. 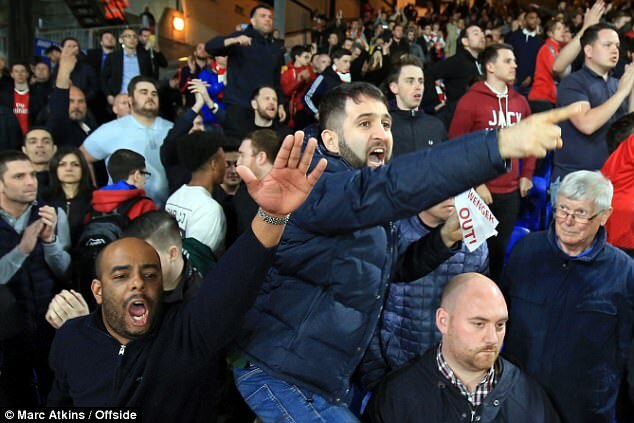 Having already seen protests held outside their own Emirates Stadium before recent match days, Wenger and his players were confronted with an increasingly angry set of supporters as they left Selhurst Park on Monday. 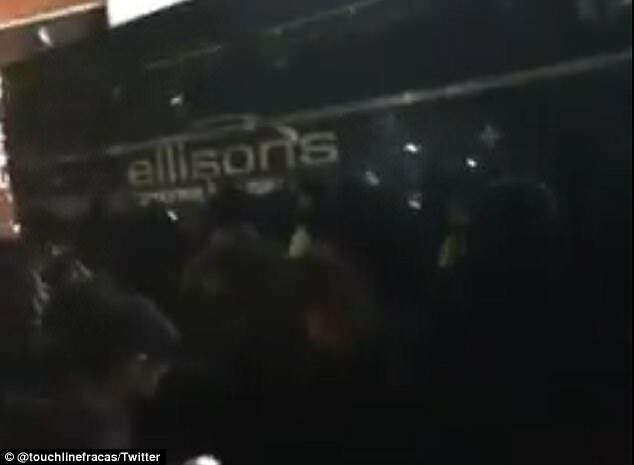 Those same supporters then appear to surround the bus as it attempts to depart for north London with a minority continuing to vocalise their discontent with strong words. One fan can be heard shouting ‘f*** Arsene Wenger’ as a number of others boo the sight of the under-fire 67-year-old. Another fan then tells Mustafi, a £35m summer signing from Valencia, to ‘go back to Germany’. 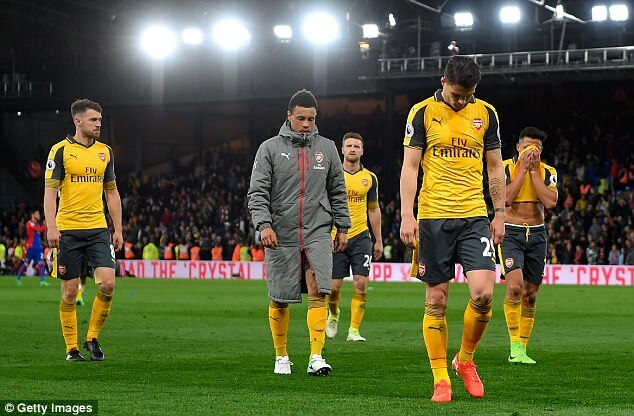 Ozil was the target of a similar tirade from an angry fan, who questioned his influence after another ineffective performance. 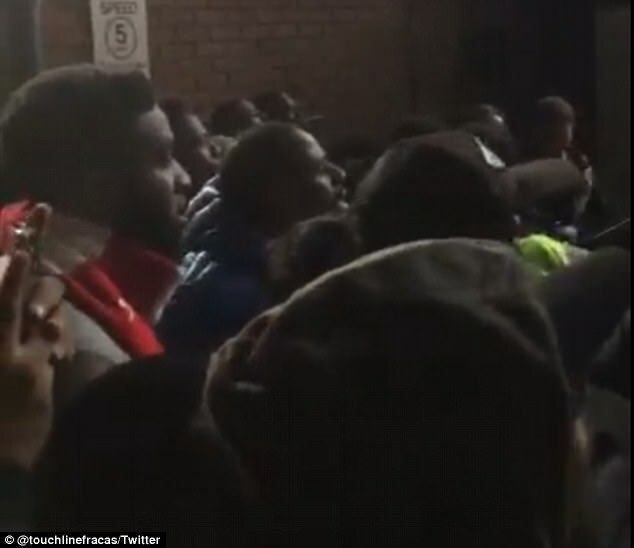 The reaction outside the ground was a continuation of displays of discontent during the game, in which Hector Bellerin was booed by his own fans as he went to take a throw-in in front of them in the dying moments of the match. Television microphones clearly picked up chants of ‘you’re not fit to wear the shirt’, which was presumably aimed at all of the Arsenal players rather than just the Spaniard. 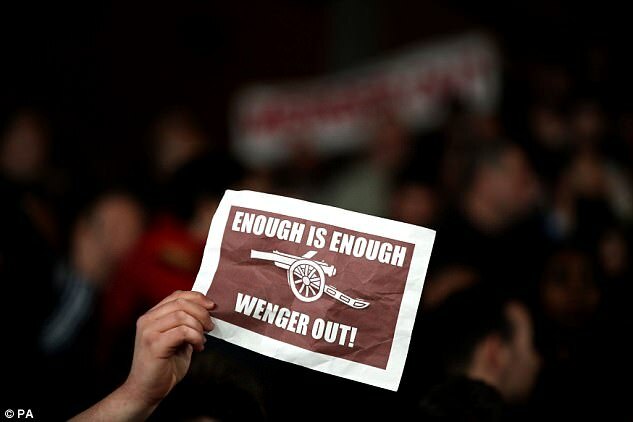 Those travelling fans also displayed the now common ‘Wenger out’ banners, most of which appeared after Luka Milivojevic had scored the third and final goal for Sam Allardyce’s men. 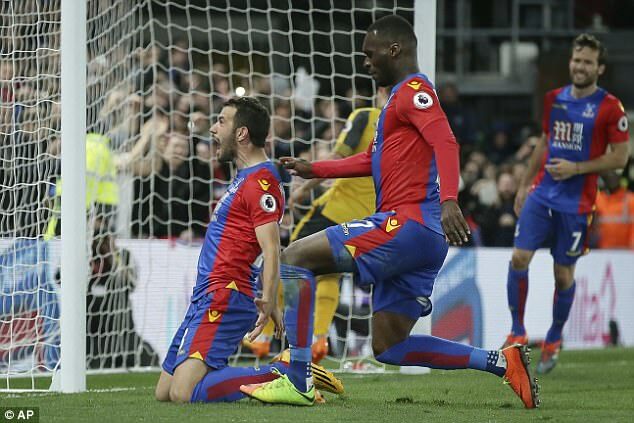 Andros Townsend had given the Eagles the lead in the first-half before a fine strike from Yohan Cabaye doubled it in the second. Emiliano Martínez then fouled Townsend in the box to give Milivojevic the chance to seal an emphatic victory from the spot.